I picked up my new earphones today after the recent regrettable incident when the cat chewed the old ones and downgraded me to mono sound. I didn’t spend as much time choosing the new earphones as usual – I didn’t even create a spreadsheet comparing the features of products that made it in the narrow selection. I might be getting old and lazy (that is, less indecisive). That is good news because I spend most of my waking time making painstakingly overthought choices – for example, I evaluate which kind of pastry I should have for lunch at such length and so carefully that the baker is virtually selling me tickets to view the show. 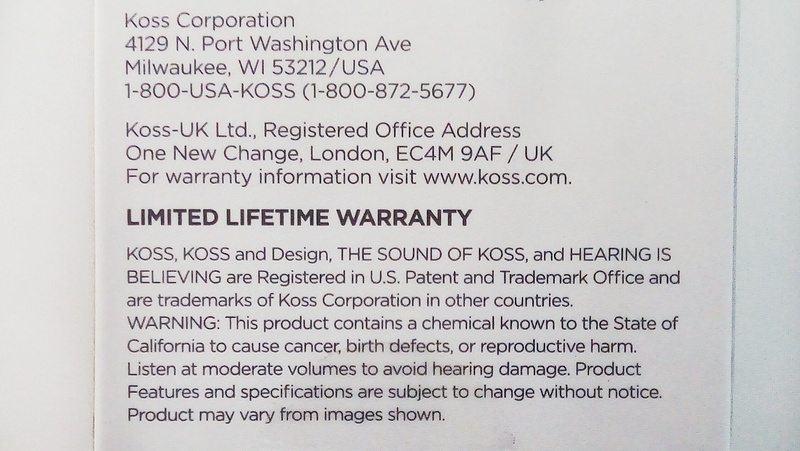 This product contains chemical known to the State of California to cause cancer, birth defects, or reproductive harm. Whew. Good that I’m not in California. I’d hate to get the earphone kind of cancer, since I’ve already pretty much pre-ordered the kind of cancer caused by smoking. I would also hate to come to a reproductive defect which might cause me to reproduce, which I have no intention to. I also need more details about what they call Limited Lifetime Warranty. How is it limited? Does it mean that the warranty is limited to cases when the product is not chewed up by your cat? And whose lifetime? Mine or that of the product? What’s the average life expectancy of an earphone set? This fine print poses more questions than it answers. That’s some crazy law in California. Those signs are posted in weird places. Don’t you dare breathe or be alive there, everything is trying to kill you. I don’t like California. Glad you got your buds. The USA intrigue me to an insane degree. It seems to me, among other things, that there is a very lively systems of laws going on and that everything needs to be backed by a court case in which someone sues a company for damage and by a subsequent law. I wish we listened to our common sense more. Phew! Good thing you’re really far away from California! I know, right! Something must be very wrong with California when earphones used there will give you cancer. It’s no joke, of course, but it is a bit strange. This post is so great, Mara! Bold to go without the spreadsheet! over analyzer so I can relate. With a new cellphone, I can’t wait to get it started — I loathe it, when I have to wait for the battery to get fully charged. I’m so different in this case… I want to know what I’m doing before I do it. I think those are excellent well thought out questions the sort I would pose myself in your situation. Though the cancer causing substance in California would bother me in that does it mean that outside of California we don’t care if it causes you to develop a cancerous tumor in your ear which would be unfortunate and surely a not too positive promotion of their product. If the cat chews these ones best get it to a cat oncologist asap. Do they work satisfactorily for you? Thank you for approving of my trail of thought 😉 I’m extremely curious, especially in things that are completely irrelevant. Such as the limited lifelong warranty of my earphones and the cancerous effects they would have on me in California. 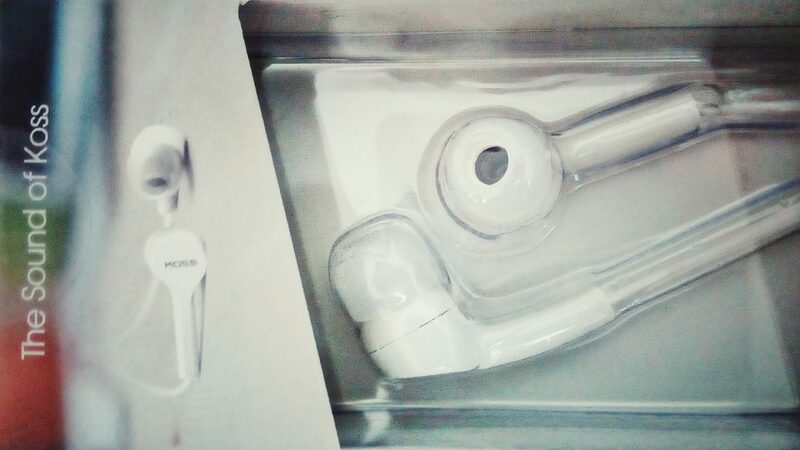 I’m ashamed to admit that I haven’t unpacked the ear buds yet because I’m letting the fact sink that I have something new… I might unpack them tomorrow. Or I might just look at them. Put them in your trophy room? I did unpack the ear buds today and was stunned that I can now listen stereo. I was getting deaf in my left ear, since the right-ear wire in my old earphones didn’t work, courtesy of the cat. Ever consider your cat might be a closet music lover? Glad you have stereo, hard to beat isn’t it..